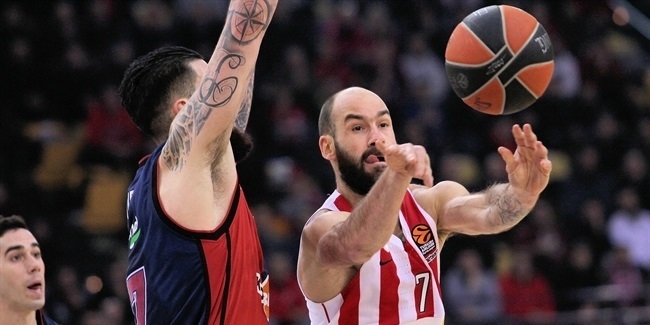 Three-time Euroleague champion Vassilis Spanoulis of Olympiacos Piraeus added yet another milestone to his legendary career by becoming the fourth player to reach the 2,500-point mark in competition history on Thursday. 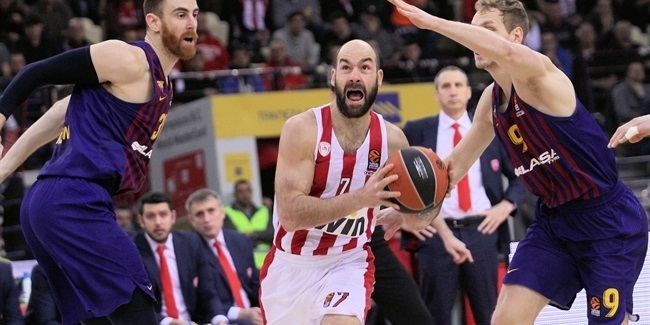 Spanoulis came into the Turkish Airlines Euroleague Game of the Week against Laboral Kutxa Vitoria in fifth place on the career scoring charts with 2,495 points. He moved past former teammate Mike Batiste for fourth place with a steal and a layup for the first basket of the game. He then hit 2,5000 points with a three-pointer nearly six minutes in. 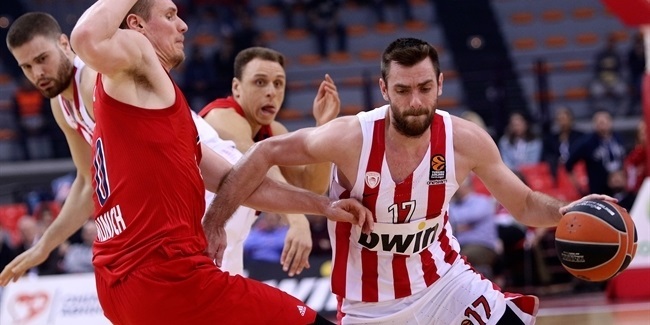 Spanoulis will likely rank third before the end of the regular season. Another ex-teammate, Jaka Lakovic, holds third place with 2,524 career points. This scoring feat is just the latest in a brilliant career for the majestic guard. Spanoulis is one of the two players, along with Toni Kukoc, to be chosen as the Final Four MVP three times. He won a Euroleague title with Panathinaikos Athens in 2009 and two more with Olympiacos in 2012 and 2013. Juan Carlos Navarro leads the Euroleague’s career scoring charts with 3,531 points, all of them with FC Barcelona. Marcus Brown (2,739 points) is second. Spanoulis is also ranked fifth in competition history with 732 assists and third with 892 fouls drawn. The milestone came in his 181st Euroleague game. Spanoulis played 76 of those with Panathinaikos Athens and the other 105 to date for Olympiacos.